There’s more good news for South Shore pain sufferers. Sasha Noe, D.O., Ph.D. has been authorized by the state’s Office of Compassionate Use to order low-THC or medical cannabis for patients suffering from specific debilitating or life-threatening illnesses and chronic conditions. Sasha Noe, D.O., Ph.D., is now authorized by the state’s Office of Compassionate Use to order low-THC or medical cannabis for patients suffering from specific debilitating or life-threatening illnesses and chronic conditions. Her office is at 6150 U.S. 41 N, Apollo Beach. Noe is eminently qualified to recommend the use of medical marijuana. In addition to taking a required eight hours of continuing education training to earn the designation of compassionate physician, she wrote her doctorate dissertation on THC, the psychoactive component of marijuana, and evaluated how the receptors in the body that bind to THC affect the immune system. Noe said medical cannabis can help put the endocannabinoid system back into balance and be used to treat different problems in the body. Some conventional drugs may or may not help, and for many patients these conventional drugs come with lots of harsh and complicated side effects. “Medical cannabis also helps in situations of chronic inflammation, is neuroprotective for the brain, helps relax muscles, eases or eliminates pain and treats nausea and vomiting while increasing appetite in cancer patients,” she continued. “Interestingly, cannabidiol (CBD), which is one of more than 100 active cannabinoids in cannabis, does noes not have the psychoactive properties of THC, yet it is one of the most beneficial components in medical cannabis because of its anti-inflammatory properties and other benefits. “My expertise allows me to have the unique qualifications and capabilities to evaluate each patient and their medical illness to determine if medical cannabis is appropriate for them and enables me to educate patients and physicians and advocate for the use of medical cannabis,” she said. That’s why many authorized doctors order medical marijuana with low concentrations of THC and high concentrations of CBD. There is also cutting edge, preclinical research happening, and the field of medical cannabis is heavily driven by medicinal genomics, Noe said. This in turn allows authorized growers to create extracts from the plant with varying combinations of THC and CBD, which can be utilized to maximize its medical benefits and minimize its mind-altering aspects. 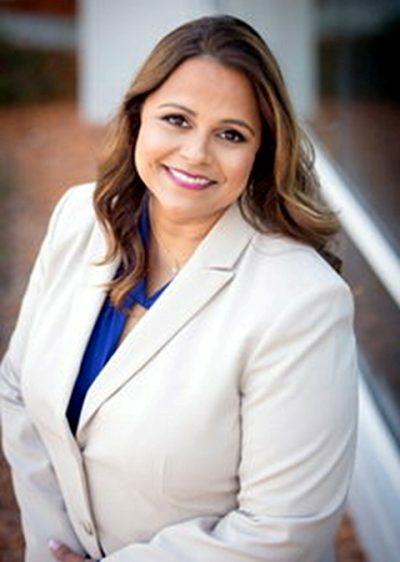 Noe began her research at the University of South Florida College of Medicine in 1994 under a NIDA (National Institute on Drug Abuse) grant. Her research looked at how THC and other components of cannabis affect the immune system at a molecular and cellular level. “Medical cannabis is not without risk,” Noe said. “For example, there’s an increased risk for stroke and/or heart attack in some high-risk patients. There’s a lot we know, but there is even more we don’t know because research on medical cannabis is limited, since it’s still a Schedule 1 substance in this country and remains federally illegal. Noe said she takes every opportunity to speak before medical organizations and at medical seminars to educate physicians on this issue. Patients suffering from Crohn’s disease, Parkinson’s, ALS (amyotrophic lateral sclerosis), PTSD (post traumatic stress disorder), multiple sclerosis, HIV (human immunodeficiency virus), glaucoma and similar debilitating conditions may be eligible to use medical cannabis in capsules, oral syringes or tinctures. They must be under the care of a compassionate physician for at least 90 days and registered on the compassionate use registry at the University of Florida in Gainesville. The doctor is required to show other forms of treatment have been tried and develop a treatment regimen, which must be regularly updated. To schedule an appointment with Dr. Noe, call 813-641-0007. She can be followed on Facebook, Twitter and Instagram with the handle @DrSashaNoe.